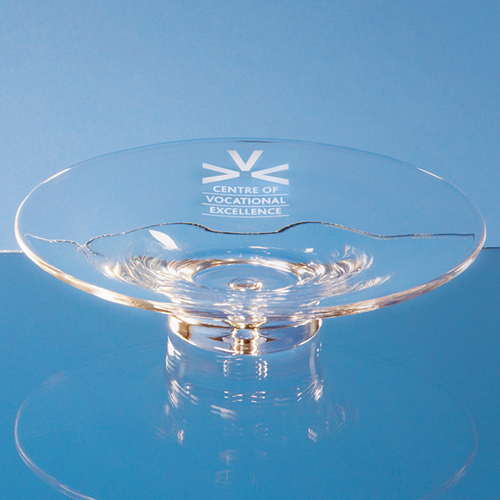 The 22cm handmade bubble base shallow bowl is a contemporary design that can be personalised with any logo, crest or wording. It can be presented as a trophy at sporting or business events and will take pride of place when displayed at home or in the office. The bubble base shallow bowl is also available in 35cm.